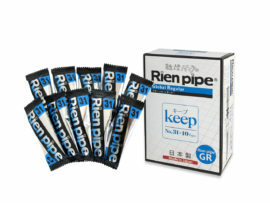 A long-time best seller in Japan, Rien Pipe is an easy and stress-free way to stop smoking. Simply attach your favorite brand of cigarette to the Rien Pipe and smoke as usual. The patented micropore technology in Rien Pipe will automatically decrease the level of nicotine you inhale, helping you control your craving and cut your tobacco dependence. 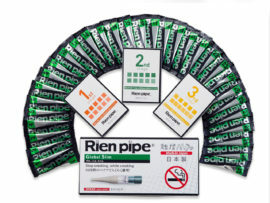 The Rien Pipe cessation program is designed to gradually wean people off nicotine - the physically addictive chemical in cigarettes. Although by the end of the program, users' bodies no longer need nicotine, it may take some additional time to adjust lifestyle habits. 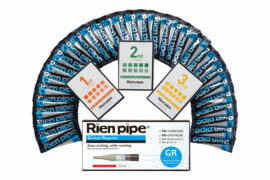 Keep Pipe - a box of 10 Rien Pipe #31 - is designed to cut out 95% of nicotine, helping support you until you decide take the final step toward freedom from cigarettes. Keep Pipe: the extender pack containing ten #31 Rien Pipes. Intended for people who used the standard kit and who need a little more time to quit smoking.